With just a bit over a month to go in the Spring 2016 season, it is time for one of my obligatory questions: which shows are you looking forward to the most in Summer 2016? Here is a link to Anichart if you want to take a look at the Summer selection. 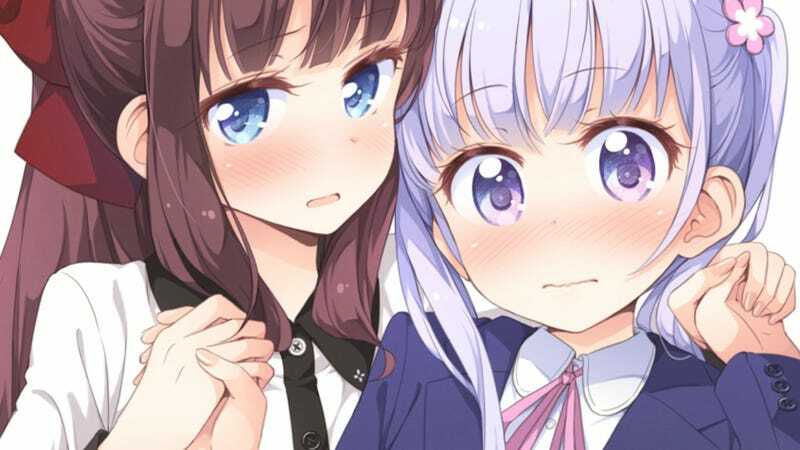 There are a fair number of shows that I am looking forward to next season, but there is one particular show that may not get the attention it deserves and I would like to encourage everyone reading this to check out, and that would be the show New Game!. I am quite the fan of the manga and am pretty happy that it is going to get an adaptation. If you are unfamiliar with the source material, the show follows the recent high-school graduate Aoba Suzukaze, she is the one on the right in the picture above, as she begins her first job as an artist making 3D assets at a game studio. It is a fun and quirky workplace slice-of-life and with the entire company somehow being female also fits the “cute girls doing cute things” genre. If you would consider making an RPG as a cute things? Which you should. Dear Lord is this PV infectious! I can’t help but smile.